It is a stimulating metaphor, and suggests in a oblique way certain transgressions that wives might be tempted to commit but only at peril of their virtue and good name. When Craven wrote the book, in 1784, she was already notorious as an adulteress who had succumbed to the temptation of crossing the sunk fence. In Mansfield Park, Chapter X, when Fanny and the Bertram sisters are visiting Sotherton, the country house of Mr Rushworth, this idea is explored at greater length. The visitors find themselves in an enclosed garden surrounded by a hedge and a ditch. There is an iron gate leading out into the open park but it is locked. 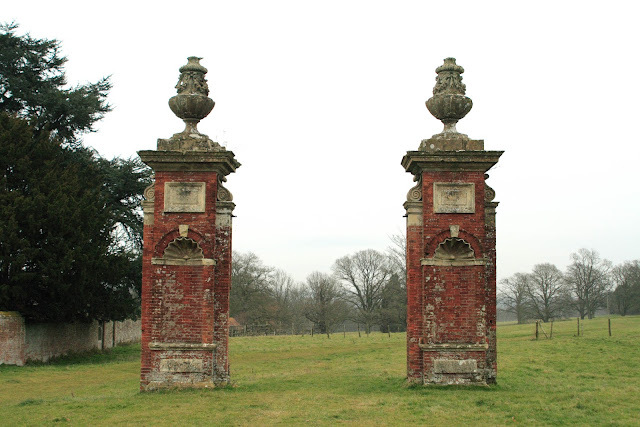 Maria Bertram instantly expresses a wish to get through the gate and out into the park, so Mr Rushworth, her fiancé, offers to go back to the house to fetch the key. He leaves her in the company of Henry Crawford, who after some blatant flirtation persuades her to squeeze out around the side of the gate through the hedge. It is a perfect metaphor for her future transgression as a wife, when she elopes with Crawford a year after her marriage. No sooner has she gone, than her younger sister Julia arrives, and follows her example in this, as in much else. "I think I am equal to as much as Maria, even without help." She too squeezes around the gate and breaks out, anticipating her future elopement with Mr Yates. Fanny points out the impropriety, telling Maria that she might tear her gown by squeezing through a hedge, but Maria laughs at her advice. Only Fanny is content to remain in the confined garden and has no urge to break out. She is happy within the bounds of the garden, indicating that she will be a contented and faithful wife. The reason she is happy there is that Edmund, the man she loves, is there too. What Jane Austen has done is take Craven's idea, with its hints of mischief and unconventional behaviour, and realize the metaphor in a dramatized, fully fleshed-out way. She brings it to life. Whether Jane Austen got Craven's book from a circulating library, or found it in the library of one of her wealthy relatives - perhaps one of her well-to-do brothers - or whether she even read it while browsing in a bookshop, there is no doubt in my mind that she read, and remembered it. And this is not the only work of Craven's that seems to have made an impression on Austen's imagination. 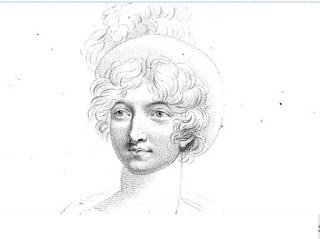 In Craven's mischievous little tale, Modern Anecdote of the Ancient Family of the Kinkvervankotsdarsprakengotchderns: A Tale for Christmas 1779, (a story that has deservedly been reprinted now by Biblio Bazaar) the heroine, Cecil, is confined in the castle of her father, a Baron, whose walls are adorned with innumerable portraits of his ancestors. These ancestors and their great deeds are his pride and joy, and he is very fond of their company. The few guests he has at his table have to listen to the Baron expatiating at length on this topic. 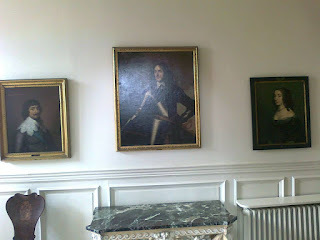 Listening patiently to the merits of the ancestors, who stared on canvas round the room, was all that was required of him. 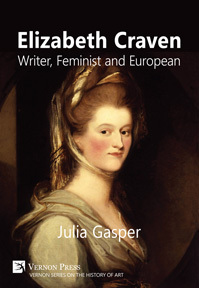 Elizabeth Craven herself came from an aristocratic family, the Berkeleys, whose country seat, Berkeley Castle, certainly boasts a large collection of ancestral portraits. There are paintings, and even earlier depictions in stained glass or carved stone. When it came to long pedigrees, the Berkeleys were second to none. So it is perhaps startling to find her choosing to satirize pedigrees in this fashion. 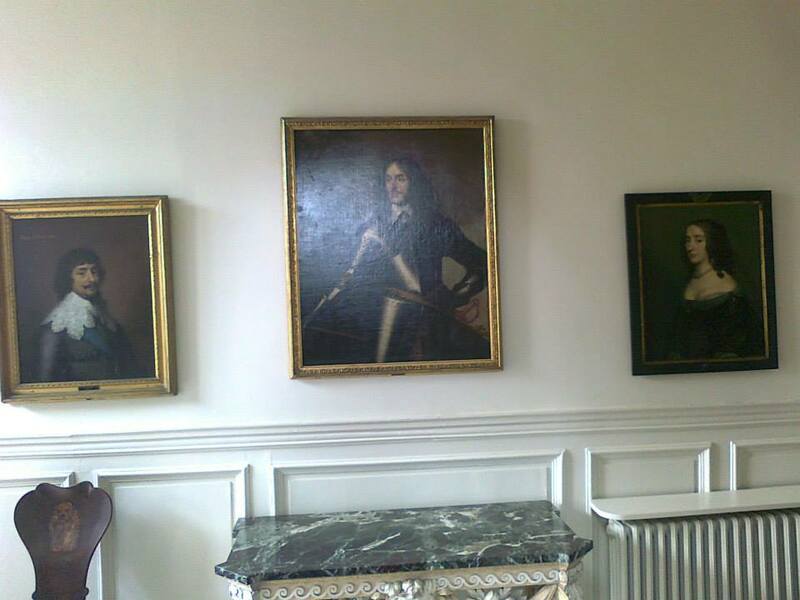 When she married William Craven in 1767, she was taken to live in his ancestral homes, which were lavishly adorned with portraits likewise. 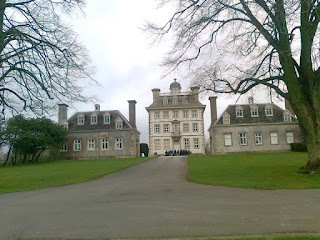 Ashdown House was the first. 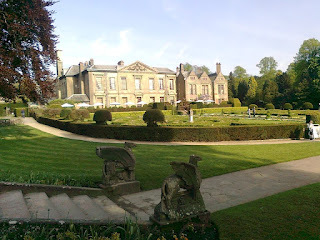 Soon afterwards, she went to live at Coombe Abbey, which housed many more historical paintings of the Cravens and the Stuarts, whom the first Lord Craven had served so faithfully. 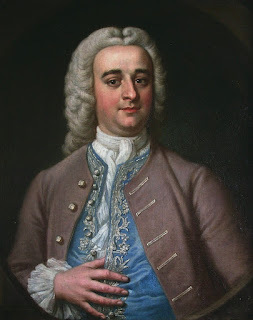 Fulwar, 4th Baron Craven by James Latham. The Baron was an exception to this modern way of thinking, and would not have consented to his own daughter's contaminating her blood with one more ignobly born. The Baron sat up that night, writing an abridgment of his pedigree, to reduce it into the size of a small pocket volume, which he intended that Cecil should always carry about her, as a charm against ignoble connections or acquaintances. Wait a minute, when we read this, who does it remind us of? 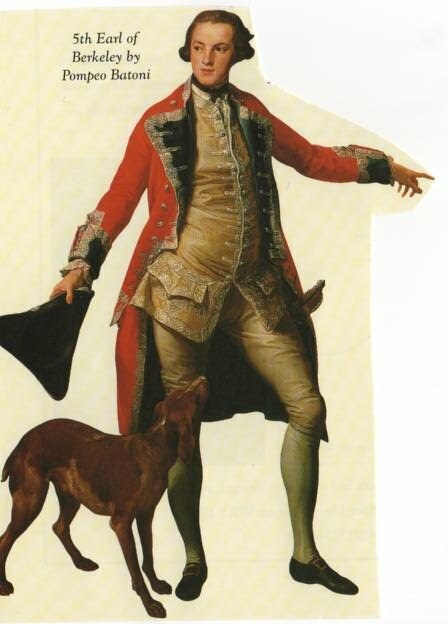 Sir Walter Elliot, father of Anne Elliot in Jane Austen's Persuasion, is a comical caricature strongly reminiscent of Craven's Baron. Like the Baron, he pores over evidence of his own exalted lineage, ignores his descent into poverty, and finds the idea of his daughter marrying a commoner abhorrent - even if that commoner is, like Frenzel or Captain Wentworth, doing rather well in the world. That only proves that he is an upstart, a parvenu. This was the page at which the favourite volume always opened: “ ELLIOT 0F KELLYNCH HALL. Walter Elliot, born March 1, 1760, married, July 15, 1784, Elizabeth, daughter of James Stevenson, Esq. of South Park, in the county of Gloucester, by which lady (who died 1800) he has issue Elizabeth, born June 1, 1785; Anne, born August 9, 1787. Sir Walter, like the Baron, looks with favour on the idea of his daughter marrying one of her own cousins. Cecil refuses to marry Hogresten, and Anne Elliot decides that Mr Elliot is not the husband for her. When asked the reason why Cecil cannot marry a commoner, the Baron says "Reasons - reasons? I have five hundred reasons," pointing to the pictures of his ancestors. Austen would have appreciated Craven's wit and the delicate turn of her phraseology. Of course, there are certain ways in which the two would not have seen eye to eye. 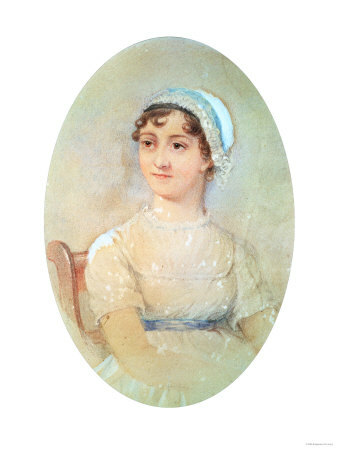 Craven's sexiness, her hints and innuendos about forbidden behaviour, her upper-class Whig broad-mindedness, would not have found approval in the strict Anglican vicarage where Austen was brought up. She must have nearly fainted as she read, "I believe, they were the only two men existing, who were glad that their young female relation should not be married to a man who had passed the night in her room." As for this innuendo, which Craven sneaks into the description of Cecil piling up her family portraits, I doubt if Jane Austen would have picked it up. But nevertheless, the story imprinted itself on Austen's imagination and her heroine, like Craven's rebels against her father's values and chooses something more "modern", a husband who prides himself only on his merit. On that significant point they agreed and Austen was writing in a continuous tradition of women's fiction in which these questions were examined from the female point of view. 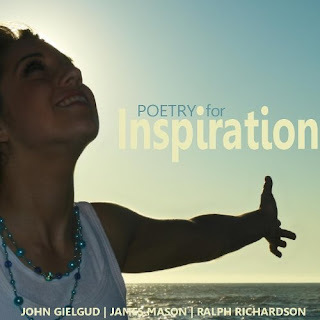 see the website of Vernon Press. (2) Letters from a Peeress of England to Her Eldest Son, 1784, page 22.